How do I upload documents for my places? In Homepass, documents are uploaded for each place. 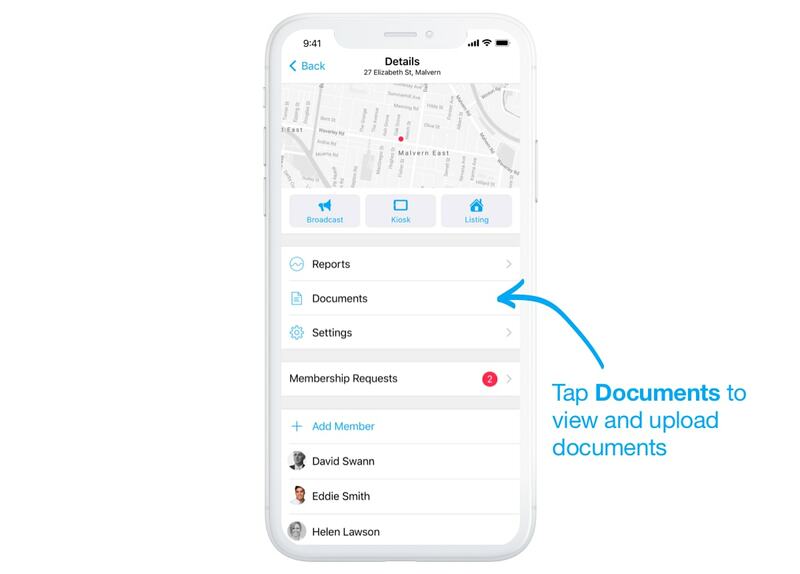 To manage documents for a place, tap the info button to view Details. Here, you can select Documents. Tap the Add button to upload new documents. 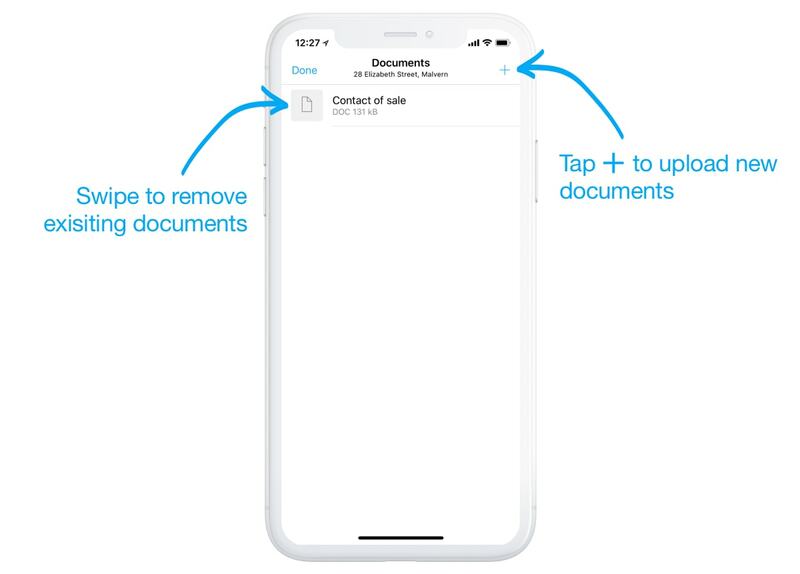 Swipe to remove old documents. Homepass will use your device's inbuilt file uploader. You may need to download your preferred file storage app to access files (like Google Drive or Dropbox). 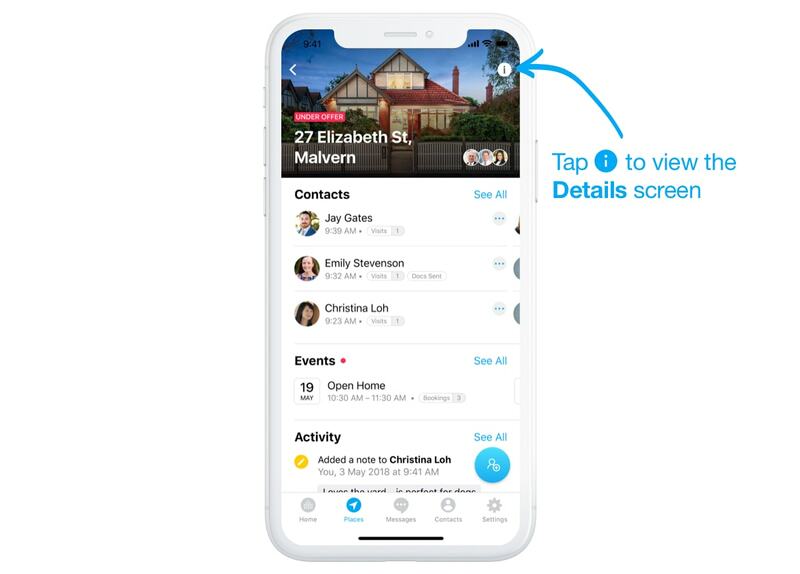 At this stage, Homepass is unable to import documents via your CRM – you'll need to add documents via the Homepass app.